WPForms is a brilliant form builder for WordPress users, but this user-friendly plugin isn’t just for creating forms, you can also create surveys, subscription forms, polls, or forms for payment. In fact, it’s the only plugin I use to create and embed forms on my website. This month the folks at WPForms are hosting a giveaway for three lucky winners to win a complementary Pro-license for an entire year. Here are 5 reasons this plugin is my go-to form builder, along with details on how you can enter to win the giveaway. Pretty simple, right? Go do it now so you can win a pro-license for an entire year. An annual license costs $199.50 so this is an amazing opportunity! Now let’s get to the different forms you can create using the plugin from WPForms. 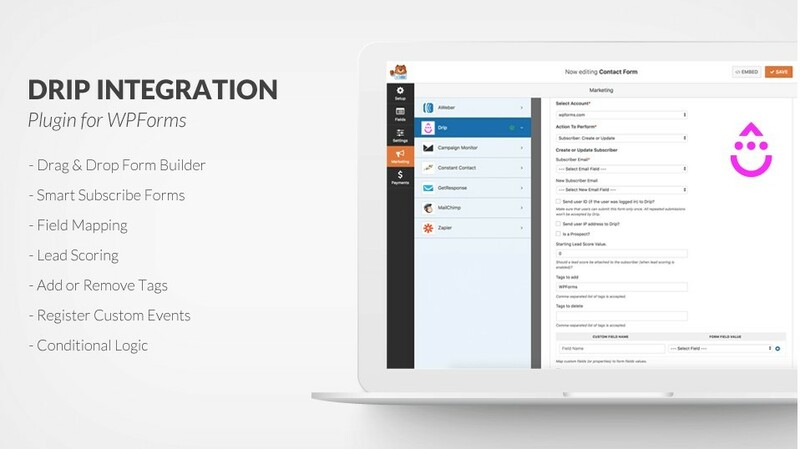 Unlike other form builders, you don’t have to build forms from scratch. To save time, you can use one of the pre-built form templates, and use the handy drag-and-drop feature to add and remove fields, or rearrange the fields until you’re happy with the design of your form. As a business owner, I appreciate how easy it is to create a variety of forms, without spending inordinate amounts of my valuable time. The forms are mobile-friendly, and are designed to work across all devices, such as desktops, smartphones, and tablets. Layouts for these devices are automatically generated when you create a form. The forms are compatible with all modern browsers so you don’t have to stress about them not working for certain users. Instant notification is another great feature because it enables you to respond to your website visitors instantly. If you are part of an organization, you can notify your team members to further increase response times. This feature applies to all kinds of forms, including contact forms, billing forms, or even donation forms. And you don’t need any coding experience to create and customize all your forms. Another convenient feature to streamline your workflow is the ability to view all your forms right from the WordPress dashboard. It’s possible to create multi page forms that require additional information, such as payment forms, job application forms, and registration forms. These types of forms can be broken down into paginated sections, all within a single page, to be easily viewed. With the User Registration addon, you can create and add custom registrations forms to your site. Customized forms allow users to complete their profile by choosing a username and password, and filling out a bio section. The plugin then automatically registers that user’s account in WordPress. Each registered user then receives a confirmation email with their account information. You can also add media or external documents to your forms, including videos, Word docs, PDFs, and images. This can be done using WPForms upload feature. Simply use a file-upload field in the drag-and-drop builder to add media or documents to your forms. There is however a maximum to what you an upload due to security reasons. This feature also saves storage space. You can view all uploaded files via your WordPress dashboard. The registration forms I referred to above can be combined with WP’s email marketing addons, MailChimp, AWeber, Constant Contact and GetResponse. These addons allow you to automatically add your users to your email marketing list. Payment addons, like Stripe and PayPal, can be connected to your registration forms if you charge a registration fee. Add to these integrations, a login form template, to let your users conveniently log in to your site using a custom login page or a sidebar widget. Spam is a big issue these days, but is addressed by using the Smart Honeypot Technique. This technique prevents spam, while preserving the user experience. CAPTCHA is also added to all forms to further prevent spam or enter an API key to enable re-CAPTHCA. You can also monitor your email marketing campaigns with the Campaign Manager addon. There is no limit to the newsletter sign up forms you can create. Campaign Manager addons can be added to other forms as well, including a basic contact form. This provides readers more than one opportunity to subscribe to your list. Take your email marketing one step further by adding Drip newsletter sign up forms to grow your email list. Drip is an email marketing service. These forms can be embedded right into your WordPress site. With this addon, you can easily create newsletter sign up forms, connecting them directly to your Drip account. If you own an eCommerce site or sell products or services on your blog, you’ll need a way to make payment transactions. PayPal and Stripe can be seamlessly integrated to create order forms, to sell digital downloads, or to collect payments up front for services. You can even add a donation form to your site. After forms are completed, users are automatically taken to PayPal to complete their payment. Pre-designed billing order templates are available, or you can design your own using blank forms. The Geological addon allows you to view and store visitor location data whenever a form is submitted. Data includes the user’s city, state, and country. This information could potentially help you turn leads into customers. 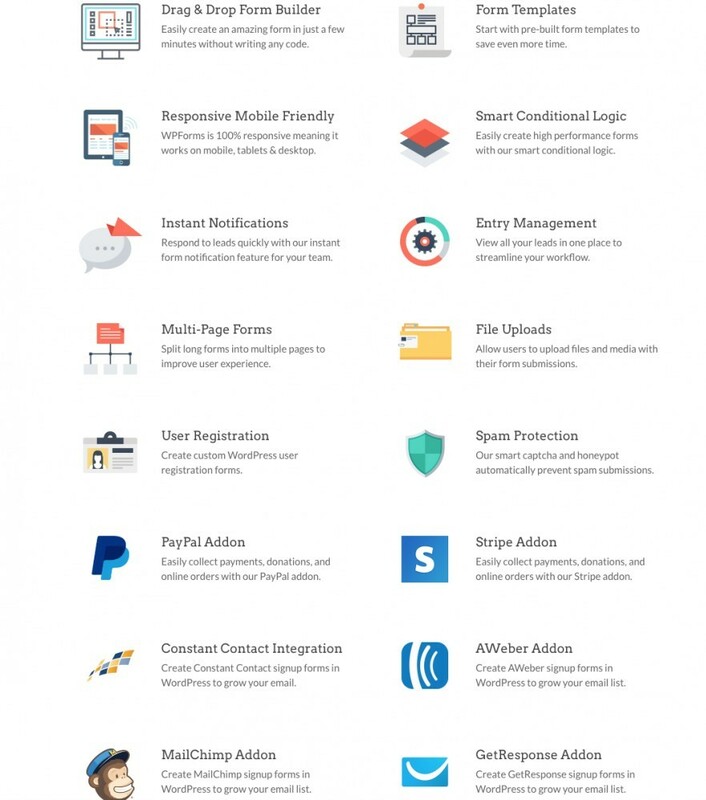 The Zapier addon is really amazing because you can connect your forms to over 1300 apps. For instance, you can use Trello to create a task, get notifications from Slack, or add a Google contact. The integration possibilities are unlimited. The Signature addon lets users sign contracts and other relevant agreements using a touch screen or mouse. This plugin is useful whenever you need to collect signatures on your forms, and you can customize the signature fields. If you want to invite a guest blogger to post on your site, use the Post Submissions addon. This will allow them access without having to log on as an admin. 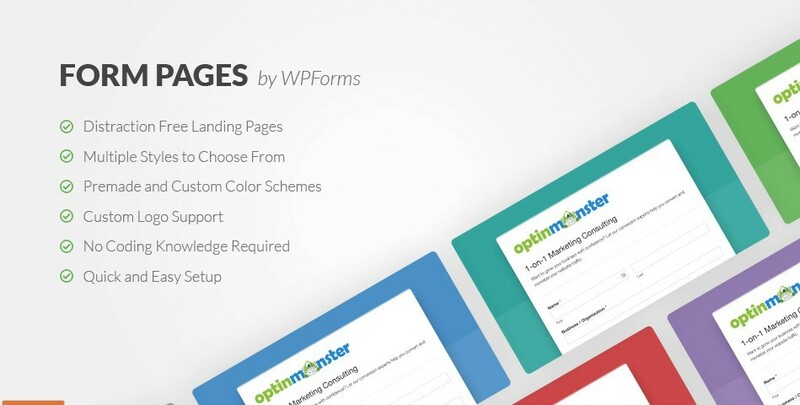 The Form Pages addon is incredible because you can create landing pages without writing code. This addon can be used in conjunction with the email marketing addons to boost conversions. There are multiple styles to choose from, with pr-made and custom color schemes, along with support to create a logo. Landing pages are important because they are essential components of a successful sales funnel. Another feature I really like is the Offline Forms addon. This prevents forms from failing to submit in the event a user isn’t connected to the internet. The offline form submission mode lets users save their data even if they’re offline. This reduces user frustration, and prevents you from losing a potential customer. Enable this mode by checking the applicable box. And of course, there are forms for creating polls and surveys that are easy to embed. These forms include spam protection, instant notifications, and smart survey fields. You can use the pre-built templates or design your own. All forms are mobile-friendly, and all data can be viewed in one location. WPForm’s Conditional Logic feature lets you show or hide fields depending on the user. For instance, you can choose to direct a reader to your email list if they subscribed via a subscription form. You can also hide questions on your forms based on whether a customer selected a certain option, which is great for surveys by the way. Or show an HTML block highlighting one of your premium offers if a visitor buys your most expensive price option. This is great for upsells. There’s a lot of different options available with Smart Conditional Logic, making it a breeze to add or remove items at any given time. WPForms is hands down my favorite form builder plugin. I use it on my all my sites to create a variety of forms, including basic contact forms, registrations forms, and landing pages. There are so many options available. Create a WP Forms account here, and start building your forms today. These forms have been invaluable to me in my affiliate marketing business. 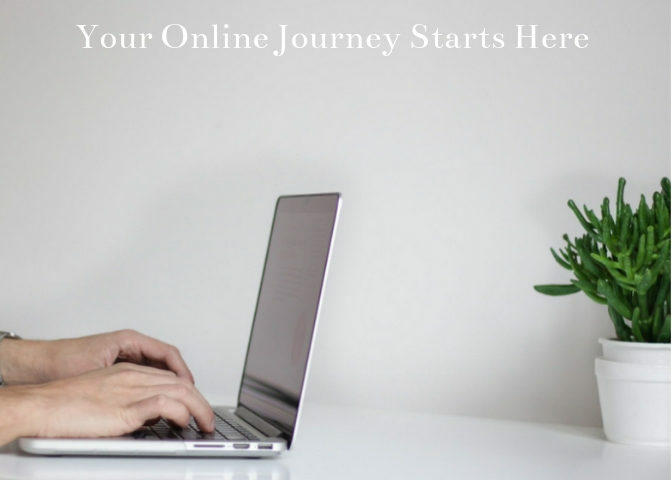 If you are interesting in how I got started online, read my review: “Is Wealthy Affiliate Legit Or A Scam” for more information. Running an online business is a great way to invest in your future and yourself because you no longer have to be a slave to the 9-5 paradigm, and you can choose when and where you work. If this appeals to you, check this out. You can get started for free so there is absolutely no risk to get started. What form builder do you use to create forms? Please leave a question or comment below.